A versatile, lead-free plastisol ink, Union Ultrasoft Plastisol Liberty Series Ink is formulated for direct printing and heat-transfer manufacturing. 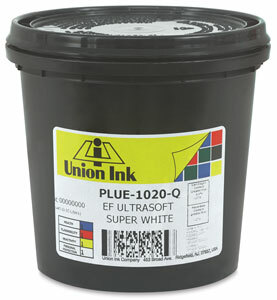 This ink offers good coverage on light-colored and medium-colored garments. A new formulation helps eliminate press stoppages due to buildup on the screen backs. Ultrasoft Inks contain no phthalates. Reducer/Detackifier — Every textile screen printer should have ample viscosity reducer on hand. 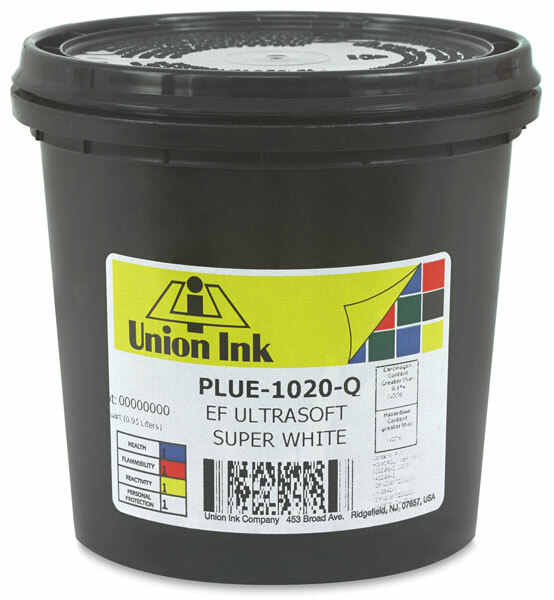 This reducer from Union Ink Company can be used in any plastisol ink to reduce viscosity. It also reduces opacity when added to high-opacity inks. No more than 1–3 percent by weight should be added to reduce opacity. This product also contains a special detackifing agent that helps reduce the amount of ink that sticks to the bottom of the screens when printing wet-on-wet. Generally, no more than 10–15 percent by weight should be needed. Extender Base — This can be added to inks to "extend" any color and reduce cost when color intensity can be reduced. It also contributes to a softer print.